Lydia Winters is living the dream. As the brand director at Mojang, she's responsible for maintaining all aspects of the massively popular Minecraft brand — from tiny collectible figurines to international events, Winters has her hands in pretty much everything. It should come as no surprise, then, that her work has landed her on the Forbes 30 Under 30 list, or that she was named one of Sweden's most powerful women in digital in 2016, or that on Nov. 18, she'll be cohosting the company's annual Minecon event with none other than the brilliantly funny Will Arnett. What will come as a surprise is how she got to where she is — and what her job entails on a daily basis. After consulting with friends, she realized that the only way to get her life back on track was to try to do something consistent with her videos, to focus all of her energy on one single topic. Winters decided to focus on video games, but there was one problem: the only video game she'd ever played was Oregon Trail. So, with a pink wig and a second-choice username, Winters began the next stage of her post-teacher life: becoming the lovable woman behind the cult YouTube series The Misadventures of Minecraftchick. An innovative format may have made her videos stand out, but it was the combination of a severe lack of resources around how it was exactly that one actually was supposed to play Minecraft and her charming, quirky persona that really won YouTube viewers over. Winters says her “black and white commentary” — noting that she was from Florida, and as a result obviously knew how to swim even if her avatar didn't — was what made the videos feel less like a how-to and more like a show. And that show format quickly started gaining followers; in the first week alone, she jumped from 0 to over 2,000 subscribers — and it's then that she decided to up the ante to making daily videos. For five months, she made the videos every single day. Carl Manneh, the former CEO of Mojang, wrote back with a much bigger offer: asking her to host the Sony Ericsson Xperia Play Minecraft portion of their booth. Winters questioned whether she was qualified for the role, but with nothing to lose, she dyed her hair pink to match her online persona and flew to LA. Winters instantly hit it off with the team from Mojang, and she aced the job she had signed up to do. But things took an altogether different turn after she ran into a friend from the internet. The friend had just applied for an art position at Mojang and asked Winters to introduce her to the team — a favor that she obliged — but Manneh informed the friend that the position wasn't in the US and would require a move to Sweden. It's here that Winters did the unexpected. Two weeks after E3 ended, Winters had been hired by Mojang full-time. Six months after accepting the job, she left Florida and started a new life in Stockholm, Sweden. And she's never looked back. A little over six years later, Winters still loves her job. Her American-ness and penchant toward talking (and talking loudly) made her an enormous asset to the Mojang team, composed mainly of Swedes who prefer, in her words, “next-level quiet.” The role that she took initially saw her looking after the community building related to the Minecraft brand but evolved to become a more senior role looking after all of the merchandising, events, and licensing as well. Every day presents something new and different, and even she herself admits that no two days in a row are ever the same. I asked her to walk me through a typical day at the office, and what became immediately clear is that she really does have her hands in pretty much everything the company does. But naturally, there are some things that are set in stone. The conversations that Winters has on a daily basis to avoid gendered typecasting are, in her eyes, crucial to putting forth the best possible version of the game to its users. One example of this is the struggle she went through with a specific brand who didn't understand the importance of equally weighted roles for the “male” and “female” characters. 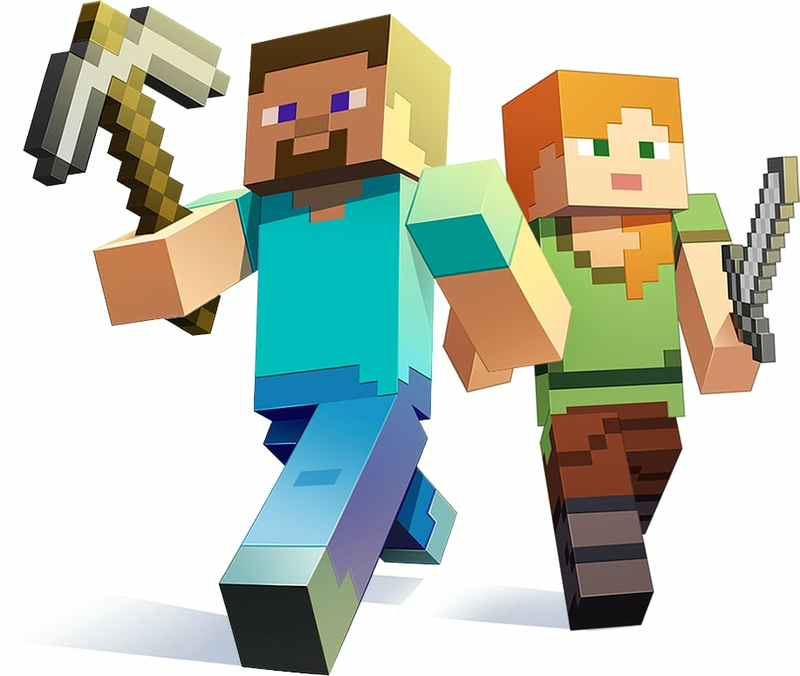 It's clear in looking at Mojang's myriad offerings that these “soapbox moments from Lydia” have made a tangible difference — and an unexpected extra benefit is that it has also affected the workplace culture of Mojang as well. Winters, who once saw herself as a lone wolf hopping around doing whatever needed to be done, now has five people reporting into her and a whole lot more women standing by her side when she has these conversations. But she's not just a manager and a brand champion. She's also a brand ambassador, so Winters spent the afternoon before we got on the phone planning out the big reveal for this year's annual Minecon: that she'll be joined on stage with Will Arnett. “It's both the most exciting thing and the most panic-inducing thing I've ever done, because it's like, whoa, this is the big leagues now – I'm going to be on stage with Will. And I think he's amazing and I have for so long that I'm like, oh my god I'm going to pass out. 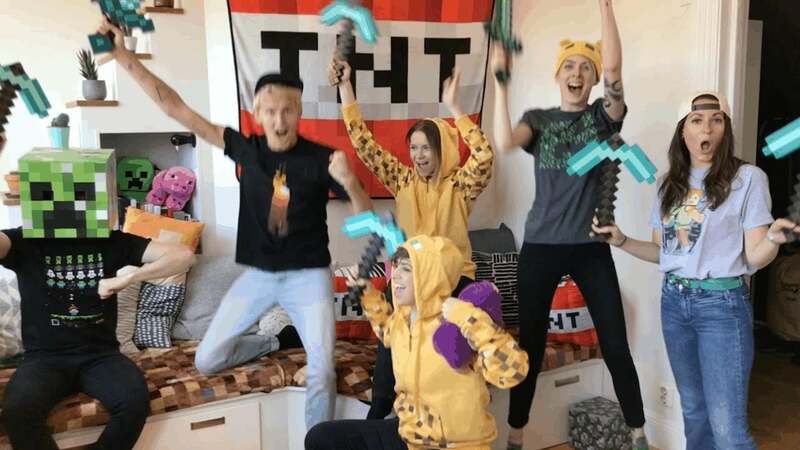 And it will be so bad if I just faint,” she said, noting that while she may be fangirling out now, the most exciting part of him hosting is that he's a huge fan of Minecraft himself. The rest of the hours of her workday are spent scripting and shooting the video Mojang will release to the public the following day. Minecon planning takes up a big chunk of the year — involving meticulous strategizing, researching, and surprising — and as a result her day-to-day workload is some combination of scripting, shooting, and merchandising. But that's on top of the mentoring and managing she does, and the work she undertakes as part of Mojang's leadership team. In short: it's damn near impossible to sum up everything Winters does. Even so, the excitement and energy that Winters brings to her job is palpable in everything she does — and it's clear that she's come a long way from her days in Florida, wondering what would happen next. Winters is now an inspiration to millions of women and girls around the world and proof that anything is possible so long as you put your full heart and mind into it and aren't afraid of what might happen if you fail.